‘till your soul touches the curve of the sky. Now you are free, my Beloved. ©2012-2017. Bella Bleue Healing™. and Erin Keane. All rights reserved. No portion of any post or photo may be copied or reproduced without prior written permission from the author, Erin Keane. before you came into this world. Where ever you are in your journey of life, may you always know you are LOVED. Nothing can ever separate us from love, not even death. LOVE travels beyond all space and time. ©2017. Bella Bleue Healing ™ and Erin Keane Design. All Rights reserved. No portion of any post or photo may be copied or reproduced without written permission from the author, Erin Keane. 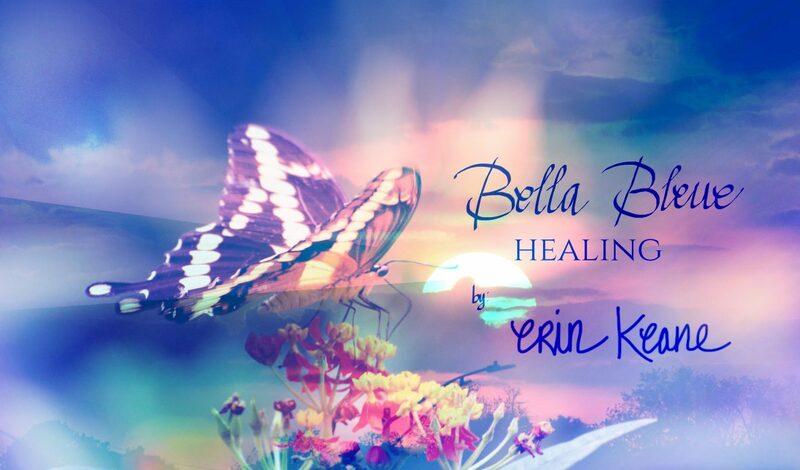 Like my Facebook page Bella Bleue Healing for more inspiration or follow my Instagram Page ErinKeane.Design for more of my art & photography. There is a restlessness in our spirits. It is in the air, speaking through the earth and in the heartbeat of people. I’m sure you feel it too. This restlessness is a longing we are communicating to one another as we seek a deeper way to love one another, and to stand strong in the midst of defeats. Restlessness is a beautiful gift. It awakens your sleeping spirit to become more than you already are. This feeling causes you to stop and notice that being comfortable in the mundane, is not what you were created to be doing. You are so much more, for the world and for yourself. So listen. Yes, listen hard and pay attention to what is happening within yourself. Be still with yourself. Take time to pray and meditate so you can understand the longing in your soul. Let your spirit leap! Futhermore, restlessness calls you out of yourself and causes you to seek out others. It awakens our need to be in connection with one another and to bring about love and kindness. Our restless spirits seek each other out, and begin to work together to bring about beauty in the brokenness around us and in us. And as loving spirits find each other, the energy of the earth and the air transforms into Divine energy. Do you feel it? We were not made to just accept life as it is. Each of us has a soul that is always longing for something more. It is this longing that causes us to be restless. And since the deepest essence of who we are is in our soul where Divine Light and Love reside, the force that is greatest in life is LOVE. So as you embrace your own restlessness and attune yourself to the restlessness of others, be still and let LOVE be the force within you that calms all fears and defeats all that is not LOVE. And allow LOVE to lead you forward in all that you do, and all that you imagine. Therefore, do not become discouraged with life. Do no despair. Do not worry. Do not become consumed by fear. Instead embrace your restless spirit; place your hand on your heart and send yourself love. Breathe in deeply and let the energy of all the LOVE in this world that other restless spirits are sending out fill your soul. Then send this LOVE back out into the world and universe. Open your eyes and see and feel the mystery and magic happening all around you. LOVE conquers. LOVE wins. LOVE blossoms. LOVE connects. LOVE is the eternal promise. Always allow your restless spirit to awaken you to discover the magic, the mystery and beauty of yourself and life.You are LOVE at work in this world. Blessings on this New Year of YOU…!! ©2016. Bella Bleue Healing ™ and Erin Keane Design. All Rights reserved. No portion of any post may be reproduced without written permission from the author, Erin Keane. Each of us needs healing in our lives. One of the marvelous way to offer healing is to offer blessing to those we love and care for. The gift of blessing changes the way you see yourself, and experience your mind, and body. The gift of blessing also offers a sacred space for love and transformation to happen deep within the very cells of your body, which in return creates healing and health. Illness, pain, suffering etc. are released from deep within you and light and wholeness fill your body, mind and spirit. ©2016. Bella Bleue Healing ™ and Erin Keane Design. All Rights reserved. If you would like a custom blessing, prayer, image ect made for yourself, family or friends, or a print of my work please contact me here. Like my Facebook page Bella Bleue Healing , or follow my Instagram Page ErinKeane.Design for more of my artwork. One of the spiritual gifts we have been created with is our imagination. Using our imagination to inspire healing in our bodies is an amazing tool. Take some time to be with your body, and any where you feel pain, illness, discomfort or off balance, take notice. And then begin to focus, and imagine your cells, your tissues, your organs working to bring healing, health, balance and peace within your body. I have been working more intentionally at getting to know my body, because I have been suffering from dizziness, headaches and tiredness. About 2 months ago I began to try to find a way to get better. I realized what I was feeling wasn’t just a phase. I talked to doctors, and friends, and did my research, but still didn’t really feel well. And then one day about a week ago it dawned on me: I have been forgetting to be in touch with my body. I had forgotten how to listen to my body and learn from it: that when something is off in your body, yes you may be ill, but your body may also be telling you that the way you are living your life may not be healthy for you. In my case I was holding left over grief and every day stress in my head. And it was making me exhausted. But as soon as I began to make a CHOICE to listen to my body and become aware of why I was not feeling well, day after day, I began to hear my body telling me, it needed me to “Let Go.” I needed to begin to release the emotional stuff I was holding within me, and as soon as I began to offer myself the gift of love and compassion, I began to feel better. This love encouraged me to begin to imagine healing energy, love, light flowing within me and pushing out all that was harming me. I continue to do this each day and thus, day by day am feeling better. I have also chosen to eat well, and learn more about the foods I put in my body, but that’s a story for another day. So I invite you to be present to your body and to begin to imagine harmony and balance in your body. Be intentional about this. Make it a part of your every day spiritual or mindfulness practice. And see what happens. © 2013. Bella Bleue Healing™ All Rights Reserved. Please also visit my photography site: Photography by Bella Bleue. See my Facebook page for daily inspirations and messages. The last two afternoons a beautiful Eastern Tiger Swallowtail Butterfly has danced by me while watering my garden. Yesterday, I was filled with a sense of joy, imagining that this beautiful butterfly came by just for me: gifting my eyes with its gentle freedom and beauty. As it danced away, I went back to my plants and forgot about my encounter. Today however, I experienced a sense of blessing and wonder, as we were graced to cross paths again. And thus, I let my gaze linger longer and watched this beautiful creature dance across the open air, moving around freely. And as I watched, I noticed the way the butterfly soars with joy. It fluttered from here to there, and wandered wherever it chose to go. There was nothing stopping the butterfly’s movements. In some ways the way it fluttered by, seemed almost unintentional, as though the butterfly was filled with joy and just absolutely embracing its freedom to fly. This image of the butterfly embracing its freedom delighted my spirit, and thus, opened my heart to looking deeper into the gift of this image and how it speaks to life. Butterflies are often associated with the symbolism of change. Because of their wonderful metamorphosis from a caterpillar walking along eating leaves, to a beautiful creature who opens its wings to fly, change is the perfect symbol. This second encounter wasn’t just by chance. As I watched this butterfly, my thoughts and feelings began to open and I began to understand that the butterfly’s dance was a way the Divine was inviting me learn. Life has been bringing with it experiences I, and others, haven’t really chosen to learn from. In the last few months I have had a few different friends who have been going through difficult and unexpected change in their lives, and I also have been recovering from loss and change. And grief is very deeply rooted in all these life experiences. Yet, as the butterfly invites us to discover: one form of dying may lead to another form of living. And although it may be a way of living that we have no road map for, we can still discover delight, beauty and hope in spite of this change. I imagine sometimes that the caterpillar has no way of knowing that she will become a butterfly. And as her daily life goes on, she knows she must eat, and then somehow within her, she knows to make a chrysalis, and then she transforms into her freedom of flight. And when this gift of flight occurs she is frightened and unsure of her new wings, maybe she is even saddened by the change in her body, but then she opens them and begins to fly, and this change opens her eyes to new discoveries and blessings. So we too can be like this beautiful butterfly, unsure and feeling saddened by the way our life has transformed, but as we begin to take the next step, say the next word, breathe another breath, we can begin to discover our new path may bring with it new beginnings, and healing. This acceptance of change though comes in time, and for each of us when this time comes may be different. Additionally, we have to be open within ourselves to see the gift in the road ahead of us, because despair and negativity can also keep us stuck where we are. This gift of discovering new ways to be free within ourselves is also a process of healing after the grief. Each time we allow ourselves to awaken to a new day and live after the change is taking a step towards healing, a step towards dancing again, signing again, feeling like you again, etc. And maybe one day like the butterfly you will again feel deep within the joy of being you, and experiencing your life as gift. And maybe like the butterfly, your story, your presence with someone, will also invite them to begin to heal, because they will witness how you have also learned to soar even with all you’ve been through. Blessings to you as you begin to soar! So wonderful to have YOU following along! ©2012-2019. Bella Bleue Healing. and Erin Keane Design. All rights reserved. No portion of any post or photo may be copied or reproduced without prior written permission from the author, Erin Keane. Are you looking for something? Search here!